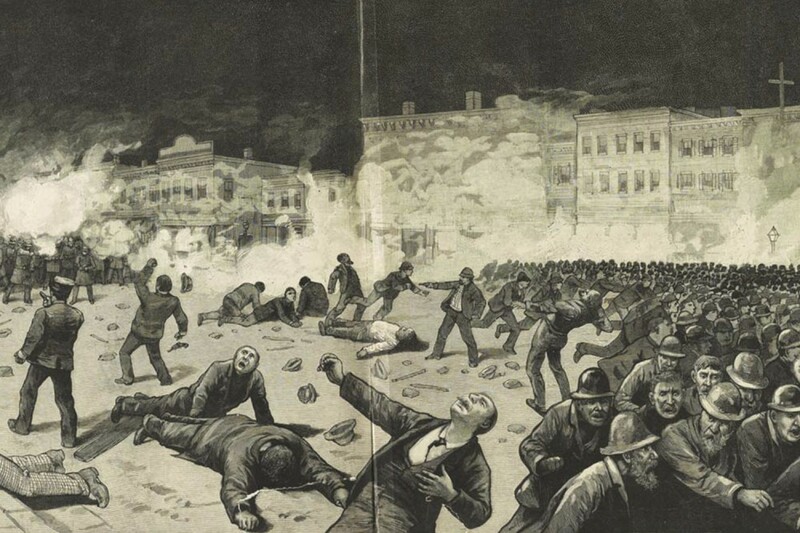 What happened to the workers' fight for fairness in America? When it comes to the politics of work in America, the times, they are a-changing. Scott Walker overtook Wisconsin, the one-time capital of organized labor, with a divide-and-conquer strategy — now he’s chasing votes on an anti-union platform. Bernie Sanders, once the lonely leftist in the Senate, has won over working people with straightforward talk of socialism. Union membership is way down since the 1980s, but public opinion of unions is rising after the 2007-8 crash. We’ll begin a three-part series, produced in partnership with The Nation, on the state of work in America today with a little history. It’s a contradictory story of a century marked by incredible change, of a great boom and then a slow bust of labor power that brings the story current and into the presidential campaign of 2016. When Debs was writing, 10 percent of Americans owned 75% of the wealth. (That number is back up to around 76% and rising now.) The average annual wage was $438 (about $12,000 in today’s dollars), the industrial work week ran almost to 60 hours, and child labor was still a fact on factory floors. 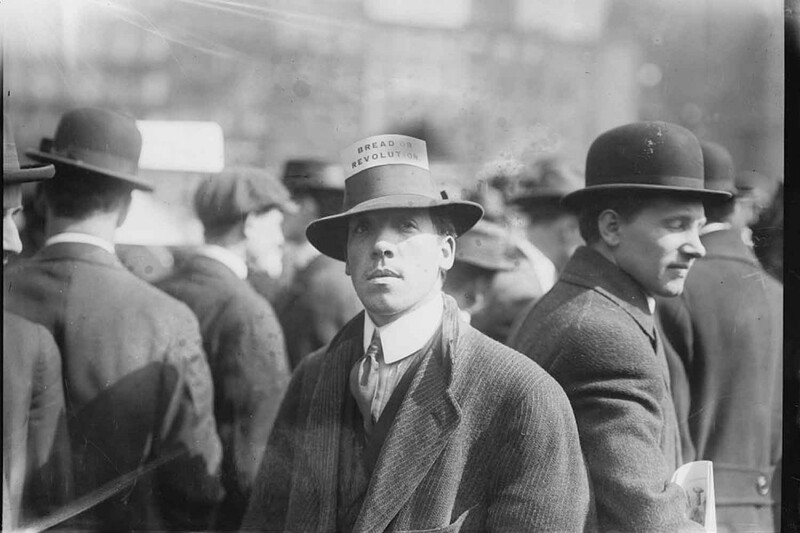 So individual workers and craft unions combined to form groups like the Congress of Industrial Organizations and American Federation of Labor which organized sit-down strikes and boycotts and nonstop political pressure. 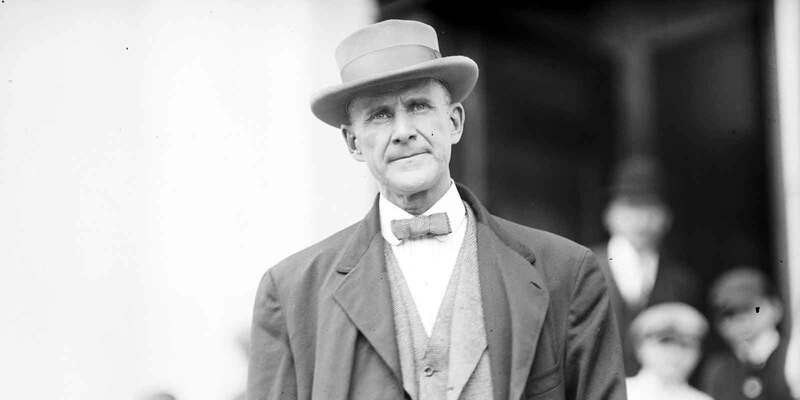 Debs himself would go on to win almost a million votes for president at the top of a socialist ticket — against war and for workers’ rights. 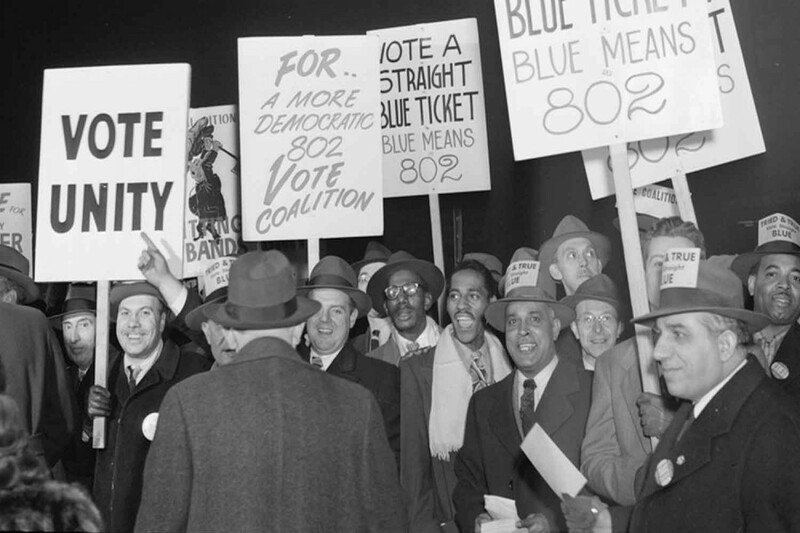 In short, throughout the 20th century, organized labor — and worker protest — was a central feature of American life. The question, then: what happened — between Roosevelt and Reagan, between the UAW and Uber? Our guide, the historian Steve Fraser, presents an important version of that history in his new book, The Age of Acquiescence. It’s the story of a resistance movement to the market’s hard edge that collapsed under attacks and also under its own success. It was a populist politics that was caught up and co-opted by the institutional Democratic Party, and recast as consumer freedom — the liberty to buy — that replaced collective political action. Underneath the story of the collapse of the American labor union there’s a pressing story for today about what work means in this country — then and now — and how our politics makes room, or doesn’t, for the people who wait tables, clean, cook, and take care of children and the elderly. It’s a story full of surprises and twists and lessons for the bosses and the laborers who still power our economy, and always will. This show begins a three-part series about American work: what it is, what it could be, and where we’re all going together. Let us know what you make of your own work, how you look at labor unions in 2015, and what you’d go on strike for. But Steve Fraser’s history goes beyond the highlights to include more than a few surprising turns — here are five of our favorites. 1. FDR bailed out American capitalism. 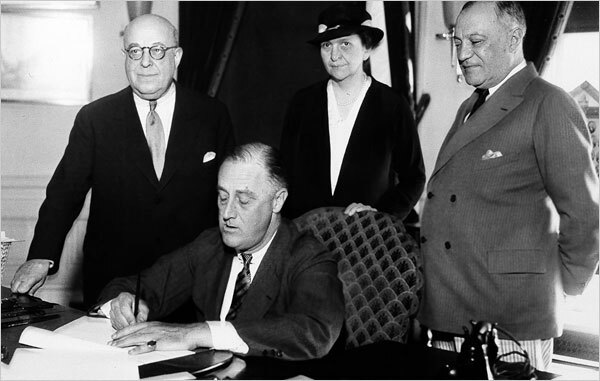 Steve Fraser reminds us that Franklin Roosevelt, even as he won the hatred of the plutocrats, conceived of the New Deal as a way to civilize — and save — a capitalist system in what appeared to be its “terminal crisis.” The New Deal brought corrective changes long favored by labor unions, including outlawing child labor, imposing mandatory wage and hour laws and safety regulations, establishing affordable tenement housing and promoting public health. From this time forward , all criticisms of capitalism from the left, no matter how militantly or defensively expressed, accepted the underlying framework of civilized capitalism installed by the New Deal. If that system failed to deliver the goods, so to speak, or violated the newly established elementary rights of working people, then it should be called to account. But not otherwise. 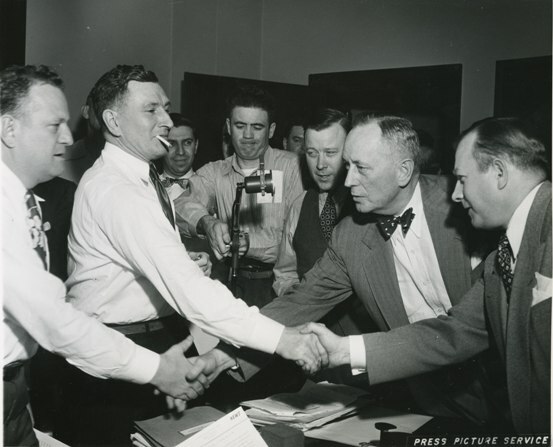 It was in the post-Deal context that Walter Reuther of the UAW, pioneer of the sit-down strike in the 1930s, signed the 1950 “Treaty of Detroit” with General Motors management: trading the right to strike and bargain over some issues for pensions and other employee benefits. 2. The McCarthy era contaminated our vocabulary. Many have asked why America never experienced successful capital-S Socialism. Fraser’s interested in a different question: how do you account for the rich tradition of American anti-capitalism, from communes to self-sufficiency and rural gift economies? People back then, because they knew other ways of life other than industrial capitalism — they had come from a handicraft backgrounds, or were peasants from southern and eastern Europe: they knew there were other ways of living, not that they glorified those ways, but they knew there were alternatives to the dog-eat-dog world of American capitalism, which offended them and was driving them out of social existence. Those people were still hunting and fishing. They had their own garden plots or their own workshops or small businesses. They could still imagine alternatives to capitalism. And I think by the mid-twentieth century that recedes into an almost unremembered past. We had left that kind of of life. There are no more roots that take us back there. 4. First came Carter, then came Reagan. 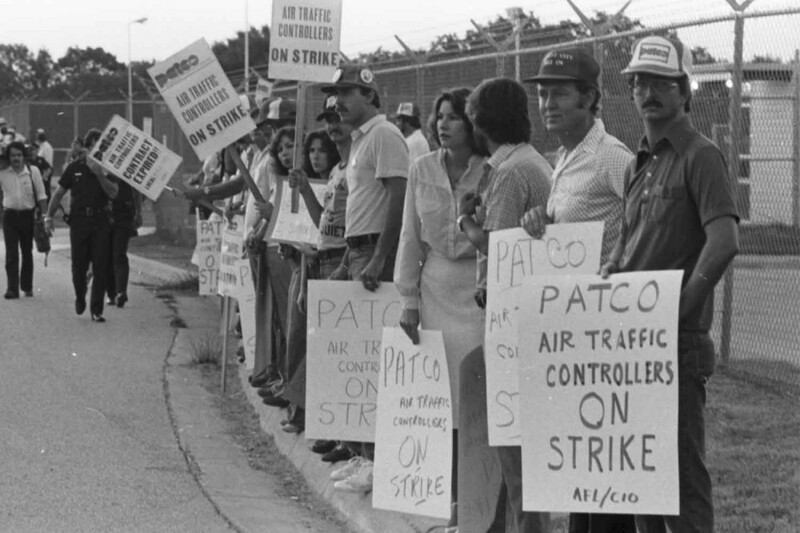 The 1981 PATCO strike is thought of as the Waterloo of the American labor movement. Air-traffic controllers, stressed by their responsibility and overworked, made an ambitious request for a shorter work-week and for special status under labor law. Ronald Reagan — whom the union had endorsed over Jimmy Carter — was the first and only president to have served in a union: the Screen Actors Guild. 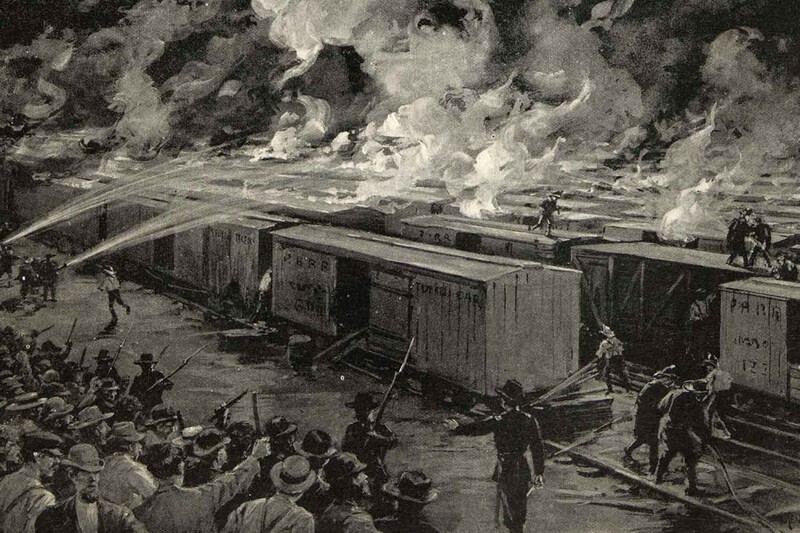 But on the day the PATCO strike began, it was Reagan who stood in the Rose Garden and invoked a precedent set by Calvin Coolidge in 1919, forbidding public-sector strikes against the public safety. He issued an ultimatum, demanding that air-traffic controllers return to the job. Two days later, he followed through: firing the stragglers and banning them from work in federal government. 5. The unions go exclusive, and the culture goes consumer. The decision was, “We’re not to fight for the welfare state generally, but to fight for it in our industry.” And they won that battle, in the electrical industry and so on: great long-term contracts, cost-of-living escalators, wage increases, vacations — all of that. 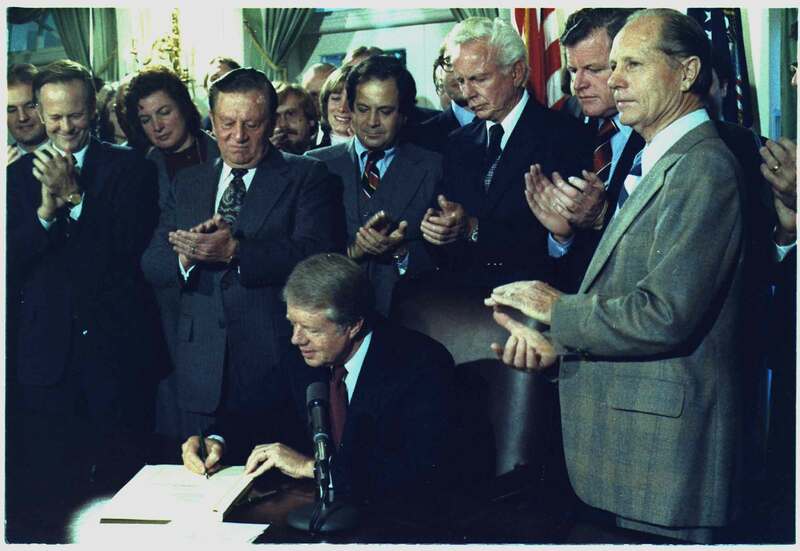 This was about private welfare states. And what that meant in the long term was they were cutting themselves off to unorganized workers: that is to say, agricultural workers, black workers in the South… domestic workers, retail and service-sector workers… They [gave] up that much more challenging crusade for the entire working class. Meanwhile, consumption set in as the new cardinal behavior of the American public — hence the advertising drive to ask the audience to “look for the union label” while out shopping. Together, the two trends represent a turn against the “freedom” felt by a successful striker — of collective strength aimed, successfully, at a common goal. Today, Fraser concludes with a sigh, Americans find ourselves in a more atomized political environment — a “source of acquiescence” to inequality today. labor historian and author of The Age of Acquiescence: The Life and Death of American Resistance to Organized Wealth and Power. writer, editor, and union organizer at Gawker. The last remaining union coal mine in Kentucky closed down last New Year’s Eve. Harlan County, Kentucky, had been the front line of the bloody war between workers and bosses, and it yielded fruit — from fairer wages for dangerous work to the union ballad, “Which Side Are You On?” and the documentary Harlan County, USA. 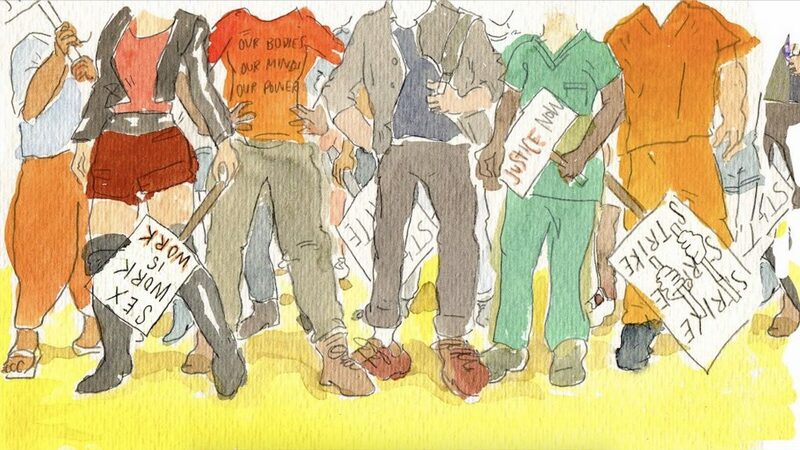 What’s the state of America’s labor movement? A profile, by-the-numbers, of where organized labor stands in America today. Since 1984, union density — the percentage of workers in unions — has contracted almost by half, entirely by losses in the private sector. 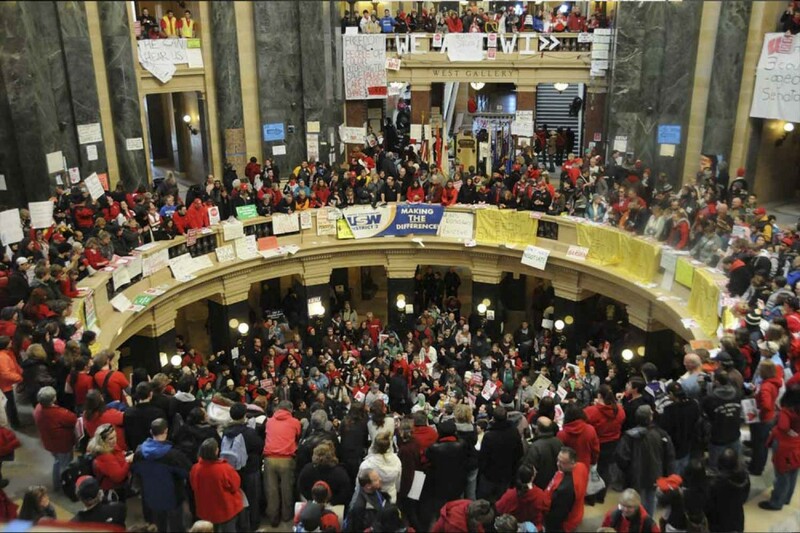 Meanwhile popular support for unions has risen to almost 60 percent after the recession. Newly unionized firms don’t fare well in this economy. When union density’s low, firms that unionize face competitive disadvantages — higher expenses and departing older workers — in exchange for relatively little bargaining power. 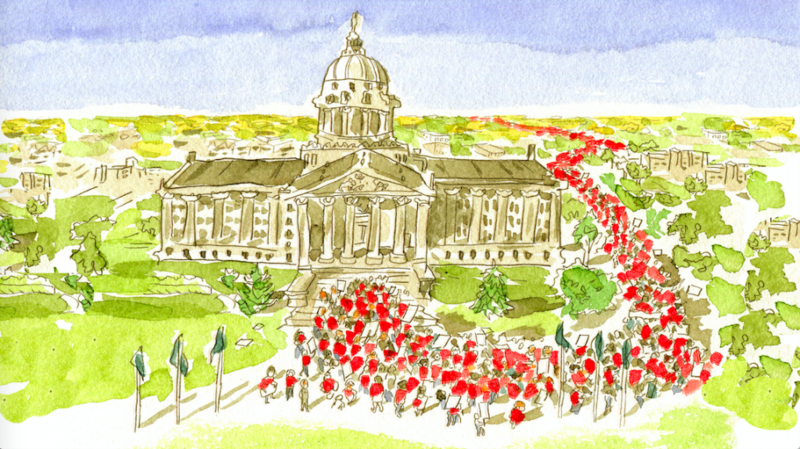 It’s a collective-action problem: how to turn a union-light economy into a better organized one. Our friend, the political scientist Vanessa Williamson, looks at good and bad news for organized labor on the march. The good news includes bumps in the minimum wage for fast food workers in Seattle, San Francisco, and New York, the ruling that allows Uber drivers to file a class-action suit, and unionization in new media, from Gawker and The Guardian to Vice. The bad news? The continued erosion of collective-bargaining rights, the ability to collect dues, and the hollowing out of ranks and war chests — up in the air! A rare conservative case, or elegy, for labor unions in the present day of Republican governors cracking down on public service workers. Peterson argues that unions protect families and communities and keep people off of welfare, and they just may be the brace against inequality that the present situation needs.